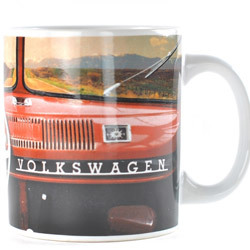 A classically designed, vintage style drinking mug celebrating a cultural icon from the 1960s, this is a larger than standard drinking mug for those who prefer to find their own new adventures in life. 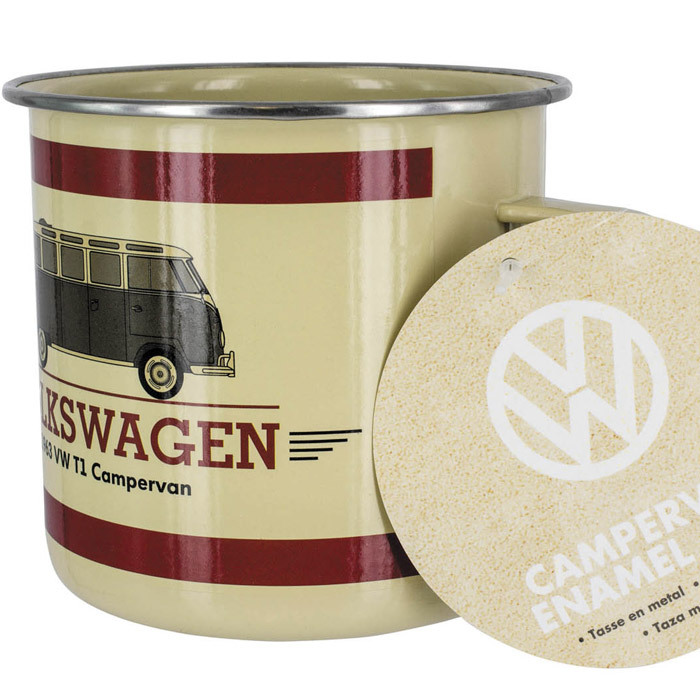 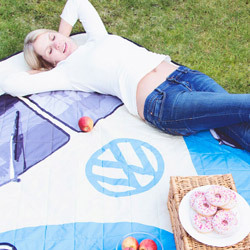 So with the Campervan Enamel Mug, you'll stay refuelled and energized long after lesser vehicles have run their race. 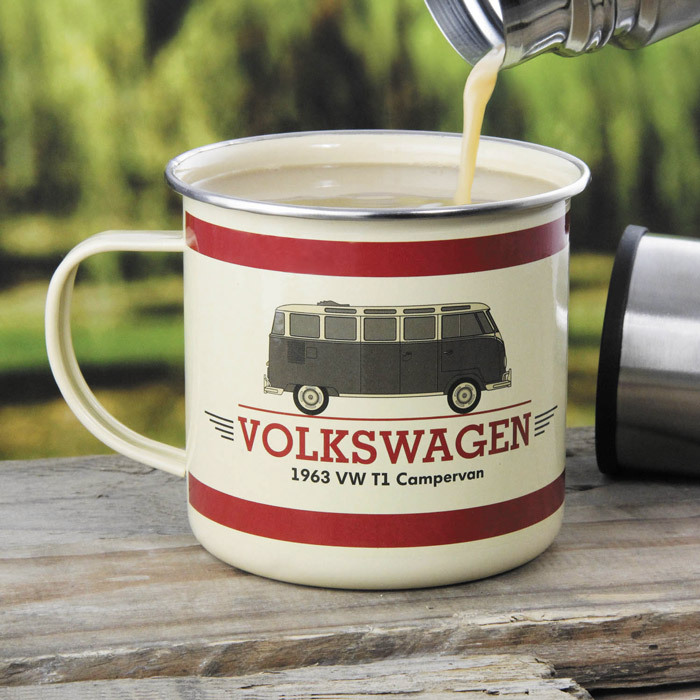 So whether it's a gift for a loved one, a quirky Secret Santa or stocking filler, or just a new addition to the kitchen cupboard for lover of a good cuppa, the VW Campervan Enamel Mug is a great way to share a brew with a legend. 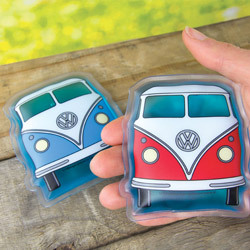 Vintage style drinking mug that's great for indoor or outdoor use!